How do you go about building a business blog? What makes it really beautiful? 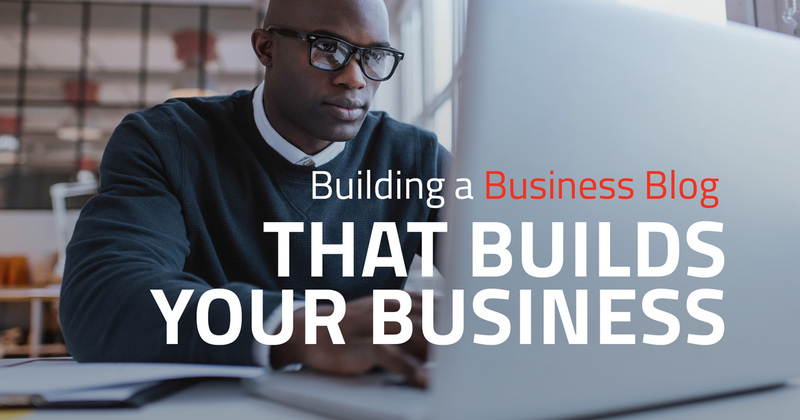 What makes a business blog really beautiful is … building more business! People blog for a wide variety of reasons, but the point of publishing a business blog is to drive your bottom line. A blog can grow your brand recognition, boost corporate good will, build customer loyalty, increase qualified leads and, ultimately, help you generate more profit. How? It comes down to answering questions that buyers and potential buyers have—or should have—establishing you and your products as the solution to their problems. When someone types a phrase into a search engine, whether or not they have a purchase in mind, their search creates an opportunity for you to present them with expertise, products, and services that are relevant to their interest via your blog. According to Tech Client, companies with blogs have 97% more “inbound links”—links to their site from other sites. And small businesses with blogs generate 126% more leads than those without. Some other format … or a combination? Identify the goal (or goals) of your blog, and the intended audience, then write consistently to that goal and to that audience. 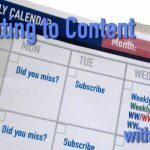 Now it’s time to think about how to build the content of your blog. First, we’ll talk about topics and formats. Then we’ll address Search Engine Optimization (SEO)—but with the understanding that SEO is part of planning and writing, not an afterthought. Topics. What do your readers care about? What are their pain points? What can you offer to address the pain—your product, contextual information and insight, or both? What stories can you tell to communicate that information with supportive emotions in addition to the facts? If you’re blog is sales-focused, remember to follow good sales techniques, such as addressing objections that customers will raise in their own minds. Use facts and opinions from other sources to back up your claims. But remember, it’s not all about facts. All decisions have an emotional component. And, again, it’s stories that convey the emotional value of facts. Formats. Depending on the focus of your blog (sales, education, thought leader forum, etc. ), different topics and formats may work at different times and provide a variety of presentation. Perhaps a FAQ about your product or product line in a sales blog would be good. Or a review of an event (relevant national news, a professional conference, or a new product release). Or a guest article by an industry expert. Check out this article for dozens of blog post format ideas. Visuals. The Internet is a visual medium and this is a graphic age. According to digital marketing guru Jeff Bullas, including an image with your blog increases views of your content by 94%. So, illustrate your blog with relevant photos, charts, diagrams and illustrations. Try to include something that explicitly or implicitly reinforces your company’s connection to the content. Captions can help, too—keeping your readers engaged with the image and its relevance to your post. Use relatively short paragraphs to make your post easy to skim and/or review. Add headings and subheads to make the logical flow clear. Use numbered lists (where sequence matters) and bullet points (where it doesn’t) to display information that would be harder to follow or review in paragraph format. Length. When Goldilocks reads your blog, you want her to feel that it’s not too short, not too long, but juuuust right. There’s some debate about what “juuuust right” means when it comes to blog length, so how much should you say? It may vary depending on your product or service area. The issues surrounding some businesses are more complex than others and may require longer posts to cover the relevant info. But it can also vary by audience: Who is your Goldilocks? A C-Suite reader may not be likely to pore over a long, detailed blog post. She doesn’t have the time. But she may read a pithy summary with a link she can click to read an article with more detail if it’s relevant to her. Search Engine Optimization (SEO) plays a role in this, too. We’ll address that below. Before anyone will read your perfect-length, wonderfully relevant, highly informative, handsomely illustrated and warmly engaging blog post, they have to find it. That means you need to write it with SEO in mind. And that means you need a clear and keyword-rich title, plus headings and an opening paragraph that repeat the keywords. Building a business blog with generous (though not overbearing) use of relevant keywords helps position your blog near the top of Internet searches. Though SEO is too big a topic to cover here, suffice it to say that your blog title can’t just be catchy and cute. It and the whole post must be keyword-driven. Here’s a good resource about researching keywords. Returning to the subject of blog length … Over time, Google has changed its ranking of blog articles, favoring posts of 2,000 words or more (see this article to learn why). As with any marketing issue, this question doesn’t have a one-size-fits-all answer. Tracking your results will be important. Here are a few extra points to address that are beyond the scope of this blog. Blog regularly. Consistency matters—for you and for your audience. Build an expectation. Create a content calendar for yourself, plotting topics and target posting dates for the year. Be realistic. Generally, posting more often is better, but establishing an achievable routine is important. Don’t publish your first blog post until you have at least 5 blogs complete and ready to post. Then put yourself on a schedule to complete the next 4 before you’ve posted all of the first set. Track your results. Use Google Analytics and other tools (see some examples here and here) to learn how successful your blog is. Are readers commenting on your posts? Sharing them? Are other sites linking to your posts? Which topics generate the most interest? Which generate sales leads? Keep up with the Joneses. Read about blogging and SEO and digital marketing. Some good sources are web marketing pioneer Neil Patel’s site, the HubSpot Blog, the QuickBooks top 102 business blogs and the sites previously linked in this blog. A little planning is good. A little fear and trembling is normal. But start that blog and watch your business grow.